Technically speaking, there's a difference between a wine cocktail and proper cocktail. The former is predominantly wine while the latter is generally liquor. One constant in this world is change, but the speed of change today is astonishing. When I was a wee one, phones were dialed and bartenders made cocktails. Now everyone’s world revolves around a mobile phone and cocktails are made by mixologists. Mixology can be just as confusing as fusion cuisine because the key ingredient in both is creativity. Of course, the best mixologists and fusion chefs must have solid foundations in the traditional art of bartending and cooking to be good at their crafts. But their modern-day creations often defy description and are usually quite temporal in nature, so when introducing wine cocktails I prefer to keep to the tried-and-true classics. Technically speaking, there’s a difference between a wine cocktail and proper cocktail. The former is predominantly wine while the latter is generally liquor. Wine cocktails tend to be lighter, fresher and less intoxicating, while liquor-centric cocktails with wine offer a decidedly greater alcoholic kick. Let’s start light and easy. Many great experiences emanate from the city of Venice and one of the most pleasant when you’re thirsty is the Bellini cocktail. 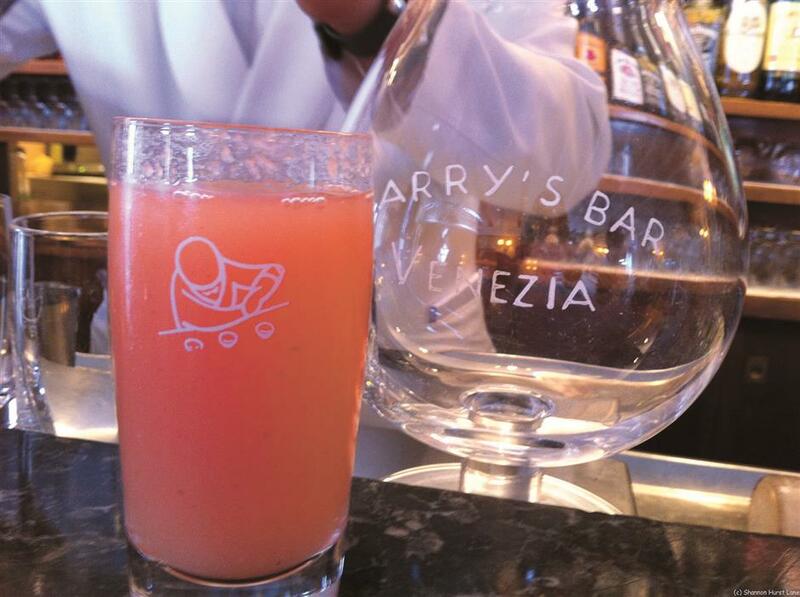 Giuseppe Cipriani, the owner of Harry’s Bar in Venice created the Bellini cocktail about a decade after the bar opened in 1931. The Bellini which is made of peach juice and Prosecco sparkling wine quickly became the most popular cocktail in Venice. Cipriani said the color of the cocktail reminded him of a saint’s toga in a painting by the 15th century Venetian artist Giovanni Bellini, so he named it after the artist. So acclaimed is this cocktail that it’s popular to say that you haven’t truly visited Venice unless you knock down a few Bellini cocktails while watching gondolas pass by. The proper ratio of Prosecco to peach juice ranges from three parts to one part to 1/6th peach juice. It all depends on the level of fruitiness and sweetness you favor. Remember that a real Bellini cocktail is never made with Champagne. The Bellini is meant to be gentle and friendly so Prosecco is a must. However, should you fancy a Champagne cocktail, then I have the perfect solution. Commercial production of cassis, a sweet black current liquor from Dijon, France, began in 1841 and soon thereafter locals began mixing it with white wine to make a cocktail they called blanc-cassis, literally meaning white cassis. After World War II, the economy in Dijon, as in the rest of France, was devastated. The new mayor of Dijon Felix Kir, who also happened to be a priest and war hero, was searching for ways to promote local products. Because the blanc-cassis cocktail combined the two important local products, wine and cassis, he started serving this cocktail at every official reception. In fact, it was the only cocktail allowed at city functions and soon domestic and international delegations to Dijon spread the word that this was an exceptionally delicious, mouth-watering drink. So successful was this priest-mayor in promoting the drink that it become known by his surname. Today, people of refined tastes can walk into any bar in the world and say Kir and be served this classic white wine and cassis cocktail. In Mayor Kir’s time the drink was quite sweet with two parts white wine and one part cassis. Today the International Bartenders Association suggests 1/10th cassis and the rest white wine but the cocktail as served in France usually has at least 2/10th cassis. The traditional wine used to make a Kir is Aligote white wine from Burgundy; however, any fresh, dry white wine is appropriate. An aristocratic offshoot of the Kir cocktail is the Kir Royal, which combines Champagne and Kir. This is the drink my father gave me to start appreciating Champagne, sort of a bicycle with training wheels. Should the aforementioned wine cocktails lack a sufficient kick for you, then it’s time for an appositely heady cocktail finished with wine. Enter the high caliber French 75. Named after the legendary World War I fieldpiece, the French 75, both the gun and the drink offer knockout blows. A staple drink in Paris during the Roaring Twenties and reputedly a favorite of legendary Jazz singer Josephine Baker, who stylishly traveled with her pet cheetah, the drink is also featured in the movies, “Casablanca” with Humphrey Bogart and Ingrid Bergman and, “A Man Betrayed” starring John Wayne. 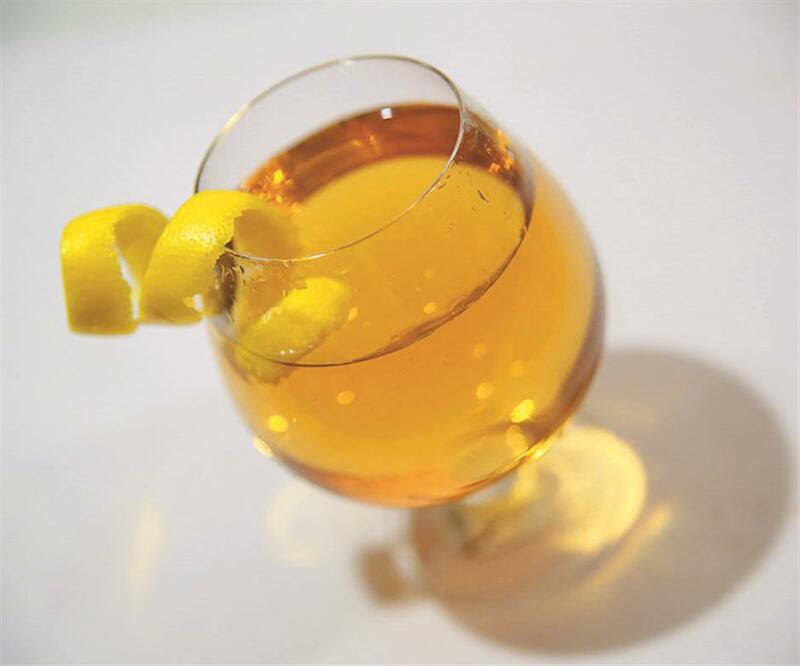 While the original WWI versions of this drink featured gin, lemon juice, sweetener and Champagne, modern versions usually replace the gin with Cognac. Belly up to any bar in France and say “Soixante Quince” or 75, and you’ll not only sound really cool but you’ll be rewarded with a deliciously dangerous drink. Any true French restaurant or bar in Shanghai should be able to fire up a French 75. 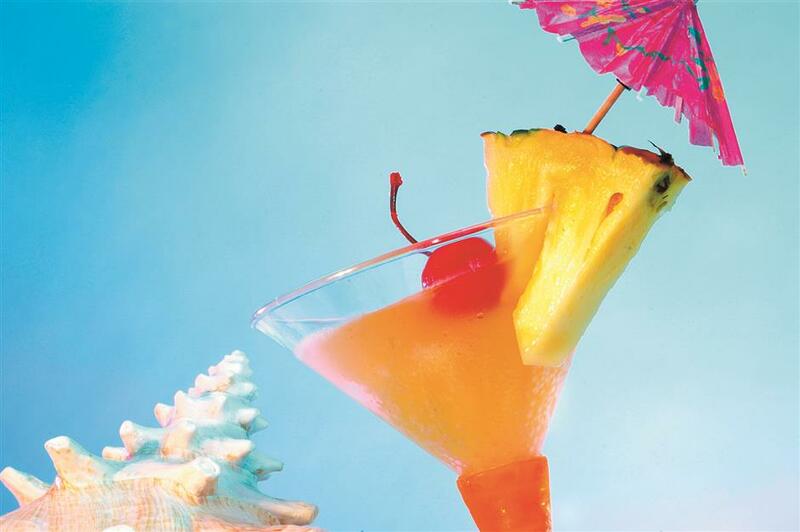 Other deliciously perilous cocktails that are made using wine are Death in the Afternoon and Flirtini. The legendary literary imbiber Earnest Hemmingway invented Death in the Afternoon and named it after one of his books. Combining the highly alcoholic Swiss spirit absinthe, an anise-flavored liquor made from botanics that’s known to cause hallucinations, with Champagne, this drink is pure debauchery. The sweetness of the pineapple juice masks the ample amount of alcohol in the drink making this a deceptively risky cocktail. Drink these bombastic potations at your own risk!